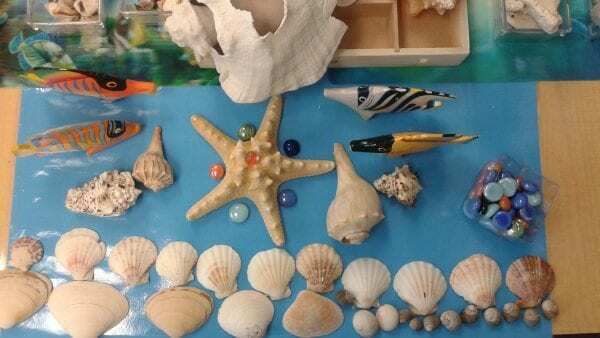 These days, many educators are preoccupied with helping their students develop creativity. 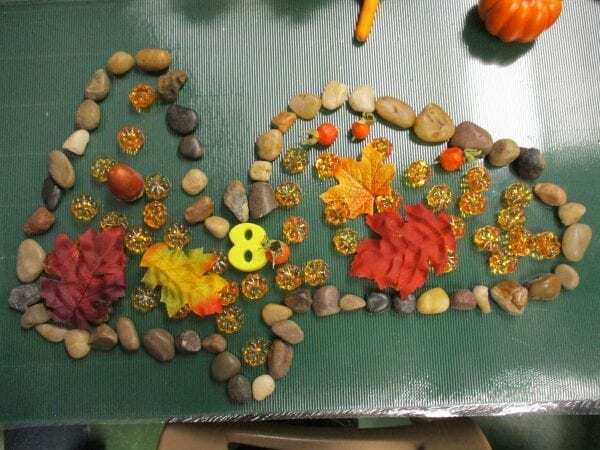 We can harness children’s innate creative reflex in Kindergarten, and set them on a path of making, tinkering and creating. 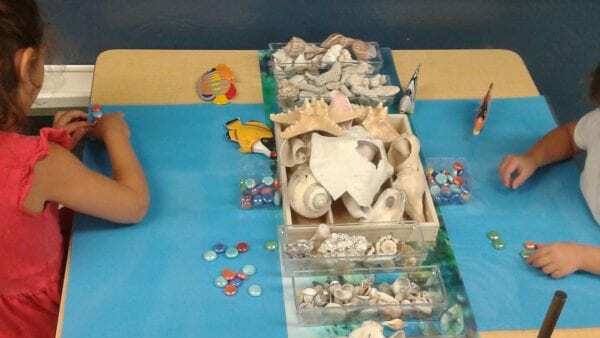 If you wonder where to start infusing the Maker spirit in a Kindergarten class – a creativity table may be just the thing for you! A creativity table is an open-ended activity center. Children usually prefer play that stimulates their curiosity and gives free rein to their imagination and creativity. 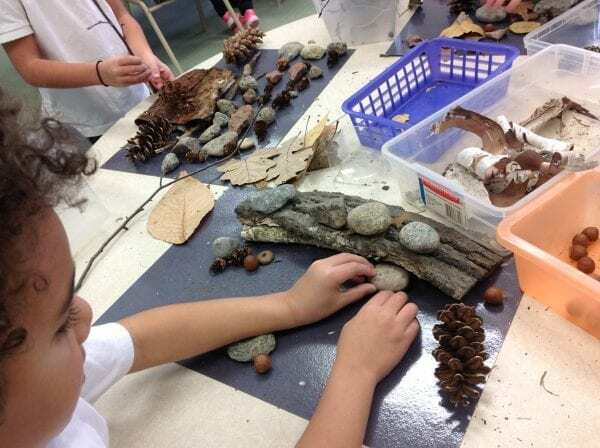 One of the best ways to enhance their natural curiosity is to introduce a wide variety of materials we call ‘loose parts’ into their play setting. 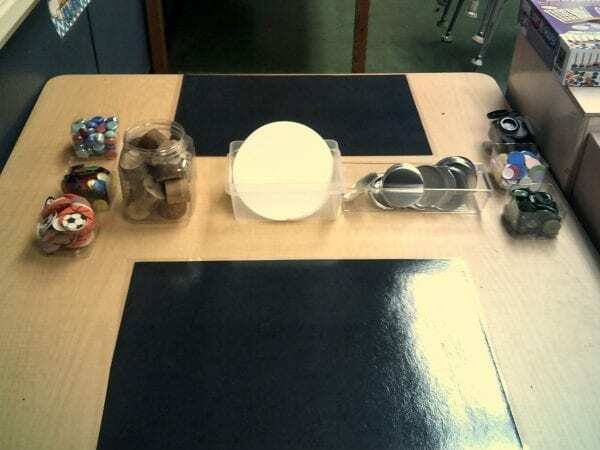 Your creativity table should offer your students plenty of loose parts to choose from. 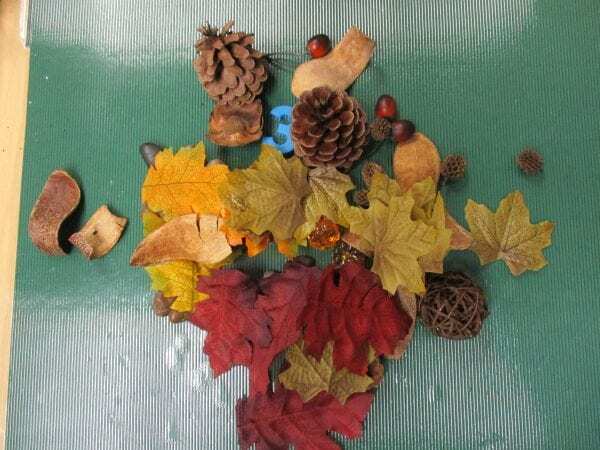 Loose parts possess infinite play possibilities. They offer multiple rather than single outcomes; no specific set of directions accompanies them; no single result is inevitable; they are open-ended. 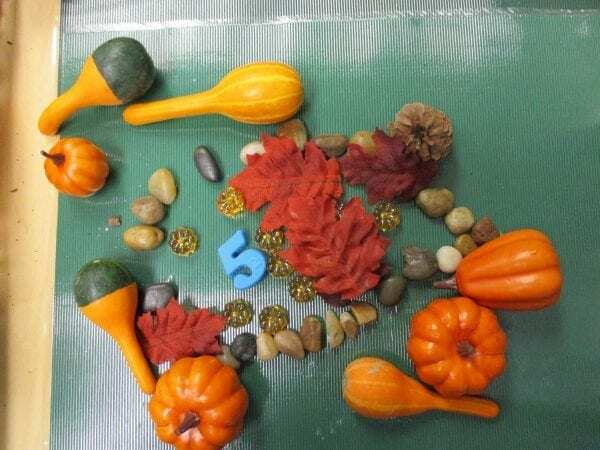 Materials become invitations that don’t focus immediately on the creation of products but instead support the children’s building relationships with those materials. Louder for the people at the back: materials are invitations. They do not lead the child to any particular course of action. 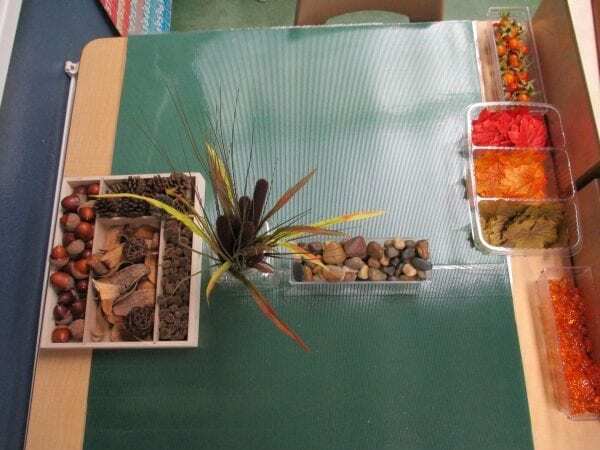 The materials, and the creativity table ethos, allow children to build their own connection to what is offered. Materials are usually artfully presented, organised and sorted, preferably in transparent containers. 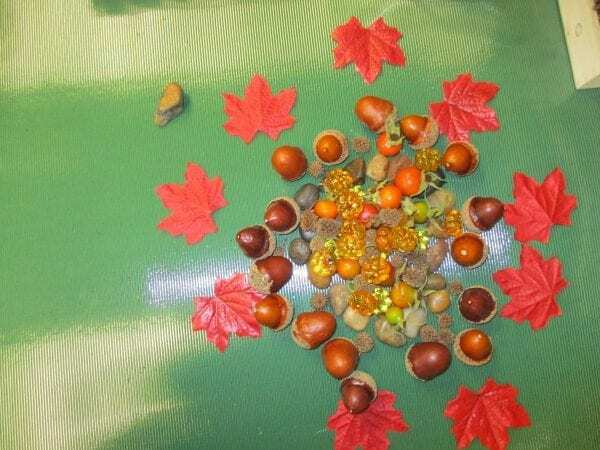 The children are given time to explore, to touch, to feel the textures and to let the materials lead their creativity with no particular outcome, product or set steps in mind. The invitation to create is open-ended and not time-restrained. Their beautiful creations are ephemeral. 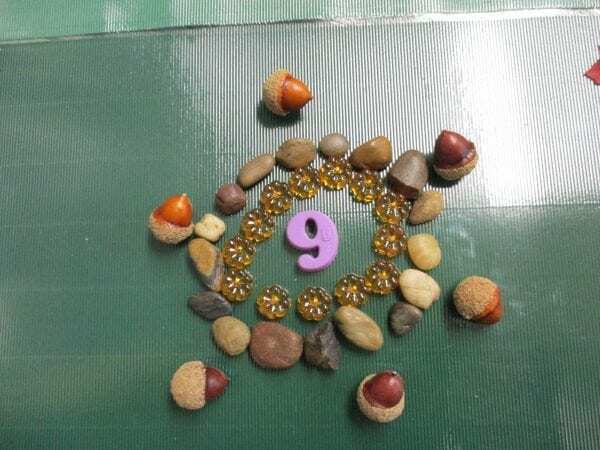 This may be difficult for some children who are used to produce work that is always considered final and displayed. They learn to enjoy making them and then letting them go, though they can live on in the pictures that they take of them. She compares it to building sand castles on the beach. There were many more. All their creations were beautiful. But even more beautiful is what the children SAW in them. That is both creative AND poetic! 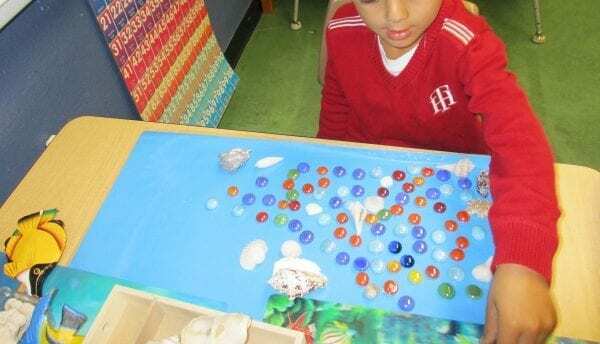 This very simple activity over time creates a maker mindset which values autonomy and exploration, which makes tinkering the default first steps of any activity, which gives permission to try different ideas and which provides invaluable experience with the medium used. Brilliant blog that needs to be out there for all to read. Thank you Christiane for your invaluable contributions. Love the openness of this set-up. 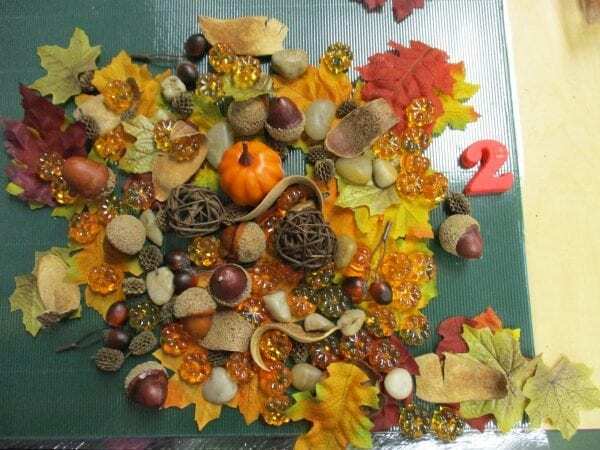 It reminds me of a book I recently found at the library, called “Anywhere Artist” in which a young girl creates art from elements found in nature, from leaves to mud to feathers. 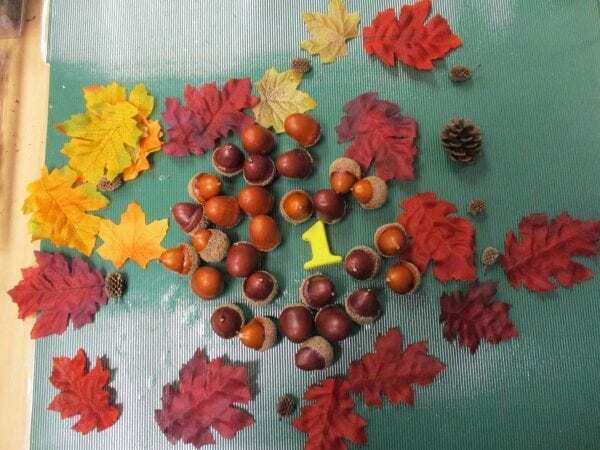 I particularly love the natural elements of the fall-themed table. Even non-organic materials can be re-used and used to create over and over again. Ephemeral creations using natural, ethically-sourced, compostable, environmentally-friendly material? A winner on so many levels! It sounds like this is a book that should be part of our inspirational collection. This type of activity goes well beyond art though. 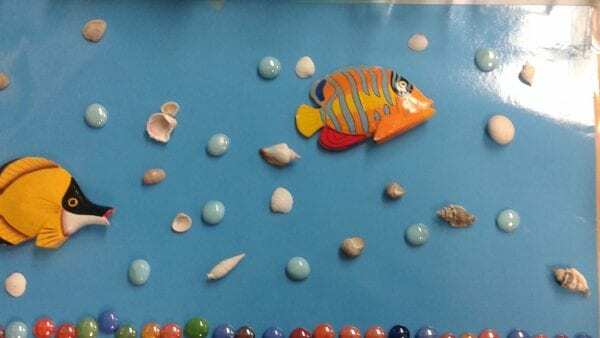 It rekindles children’s immersion in PLAY in which they make anything, they make discoveries, they touch, explore and tinker with no goal in mind, no right or wrong way to create, no fear of failure. 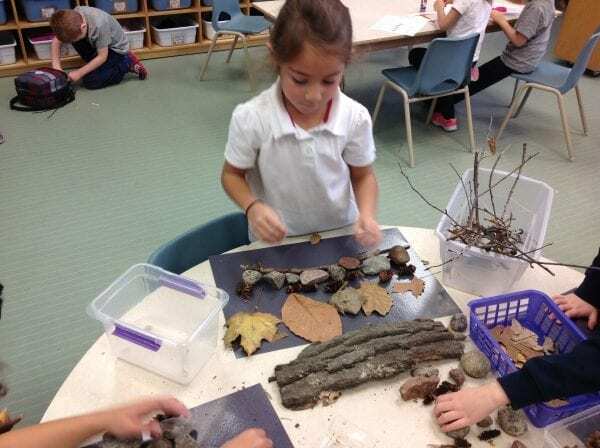 We sometimes forget that children need time to become familiar with the materials they are using. They need to get to see what those MATERIALS WILL LET THEM MAKE! They need to learn the gestures associated with them, the vocabulary to talk about the materials, the gestures and even the tools they use. This type of free-flowing exploration is one way to let all of this happen naturally in class. Whatever type of “making” exploration the children are involved in, shouldn’t the first steps always be like this? I love that these natural materials are accessible to all – city or remote regions, no budget required. Congrats again on the workshop, I am glad I was able to attend!